After 5 weeks, 62 maps and an unreasonable amount of de_cache, the end is at last in sight. 16 teams entered the ring (and two of them can still fight for third place), but only 2 challengers for the title remain. This Monday at 7.15PM, LU Brexit do battle with the Aston Clutchers for the fourth time in this summer tournament to decide who will be crowned our new summer champions and take home $100 of prizes each. For Aston, the stakes are doubly high – with their League of Legends team’s continuing success, the society is in the running to become the first ever NUEL double champions. LU Brexit have carved through their opposition on course to the final. The team defeated all comers, arriving to the finals with a 7-1 record after dropping a close game on Cache to DBC in week 4 (a game they admitted they were relaxed about, having already clinched playoffs). Loughborough had the odds on their side going into their semifinal game against Staffs CS:GO and dismissed them 2-0 across Mirage and Overpass, the latter a new map for Loughborough in the tournament. Loughborough now return to the final of a university tournament for the first time since summer 2015 looking stronger than ever. You can read our playoff profile of Loughborough including a full account of their previous successes here. Aston had to take a bumpier road to the final. 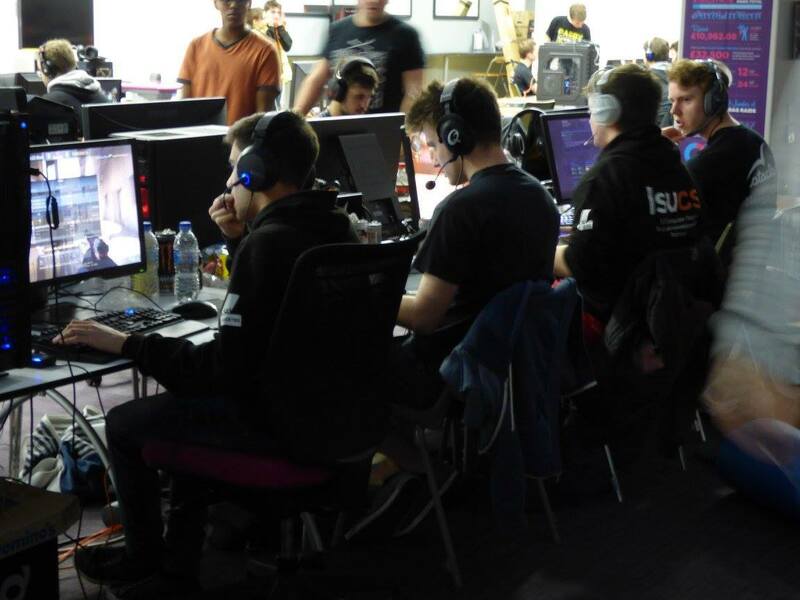 Although they seemed one of the tournament’s premier teams from day 1, a series of meetings with Loughborough on Cache, Cobble and Mirage failed to go Aston’s way despite their success against other teams. Frustration mounted when the Clutchers were pipped to the post for the 2nd seed in the last week of qualifiers by their scrim partners and longtime rival DBC, setting up another meeting between the two. DBC owned a 6-0 record against Aston and had plenty of experience of dismissing them from the late rounds of the playoffs after the NUEL Spring tournament. Against the odds, however, an Aston team with two stand-ins pulled off the upset win to keep their fairytale going. Playing his final match in Aston colours after his graduation, captain Revan will be eager slay the wicked witch of Loughborough and live happily ever after. You can find out more about how Revan built this team in our playoff profile of Aston. Aston and Loughborough have similarly constructed teams with all the building blocks for success; a star AWPer (Wilrus and Zephyr), structure and success at the IGL position (Shiftea and Khaniv0re), quality entry fragging (Assassin_V4 and Add), a trio of players with regular experience together (Shiftea, Myaumix and Add for Loughborough and Stanley, Assassin_V4 and Khaniv0re for Aston). They also both have produced several high quality stand-ins – an underrated but hugely important factor for success in any long form tournament – in the form of Loughborough’s Samstar and Aston’s Stanley and Galla, all of whom have delivered heavy fragging performances when called upon by their teams. Which of these teams is made of the stronger stuff is what will determine the game. The AWP battle in particular is going to be one to watch here. In their series against Staffs, Wilrus’ ability to go better or even and pull off key rounds in a head to head battle against one of the tournament’s best AWPers, Joey, was both mesmerising to watch and a decisive part of their 2-0 win given Shiftea’s tendency to wait to pull any moves in the round until his side had a man advantage. Wilrus will have to be even better to see off Zephyr, the AWPer of both Team Nerdrage and the Aston Clutchers. In their previous meetings, the battle has been balanced on a knife edge. With both teams’ love for AWP-centric maps such as overpass and mirage and tactical reliance on early picks, look to see the two go head to head early and often. Wilrus vs Zephyr is definitely my matchup to watch for the grand finals. History rightly favours Loughborough. Despite playing them three times across three maps in the tournament so far, Aston have always fallen to the LU Brexit squad. Add to this that Loughborough have much more experience playing in tournament finals and playoffs than their opponents and Loughborough are certainly favoured to win. Nevertheless, Aston’s chances of victory cannot simply be dismissed. This is both the side’s big chance to write themselves into Collegiate eSports history as likely one of the first double collegiate champions in the world and their last chance to win a title for their team founder and captain Revan. With so much on the line, Aston aren’t going to make it easy for Loughborough. An early Cache pick could be a great statement of intent from Aston on this front – although it was the map that started their run of losses to Loughborough, it is also the site of Loughborough’s only defeat of the tournament to date. My prediction is that unless there is some Aston magic, Loughborough should win this 2-1. They are simply the best team in the competition and have demonstrated it again and again. However, expect the Clutchers to bring everything and the kitchen sink to claim the title. How were you guys feeling after the semifinal match? Shiftea (Lboro): Feeling good. We learned a lot and discovered a playstyle that’s going to suit us in the final. Assassin_V4 (Aston): We were ecstatic. We feel like we deserve to be in the final and it was great to finally achieve that milestone. Revan (Aston): We knew we should be in the finals with a team this strong but it felt fantastic to confirm that and make it here. How are you feeling about the Grand Final matchup? Shiftea: We’ve played Aston many times before and it’s always been the same outcome for us. That said, we know they’re a strong team. We’re definitely going to respect that but we plan to play as we always do. Assassin_V4: We respect Loughborough a lot. We always felt like it would be an Aston vs Loughborough final. If everything goes right on the day it will be the first time we face them with a full strength squad. We think we can win. What have you been doing to prepare for the finals? Shiftea: We’ve just been having fun with other games actually – Myaumix, Wilrus and I got into WoW again last week which has been good. I made a demon hunter class which is pretty cool. Nimajik went on holiday and add has been playing a lot of civ. Assassin_V4: We’ve been practicing as much as we can. I’ve been dming and scrimming and also doing some VOD review. What are your thoughts about being in the grand final? Myaumix (lboro): I’m feeling pretty calm about it. We’re trying not to let it get to us and take it one map at a time. Shiftea: We’re excited, but we’ve been in this position before and we know how to handle it. We have a lot of tournament experience in our team. Revan: For me, it’s my swansong playing for Aston and it would mean the world to me that my little university team has achieved so much. Maybe we can found an Aston era? Assassin_V4: The tt eSports prizes are the cherry on top for us. We’re in it for the title, and if the LoL team can hold up their side of the bargain we want that double sweep. Can you give us any hint of what we might see on Monday? Assassin_V4: We’re just going to play solid fundamental counter-strike – nothing too fancy. Can Aston achieve their dreams of glory or will Loughborough finally return to the top of the NUEL? Tune in to twitch.tv/thenuel at 7.15PM on Monday to find out!